The Killzone series returns on the PS4, doing what it does best – being an enormously good-looking first person shooter. I recall finishing Killzone 3 and while I certainly enjoyed, it I also knew that the development team had to give us something new next time around if the series was to have a future. So it was with some relief indeed that when I finally got around to playing this one I saw the developers have discarded the whole “WWII in space” paradigm. It’s no longer a case of holding back an invading army or regime-change on some far away world. No. What we get in this one is even worse. At the end of the last game, Chairman Stahl’s plan back fired on him when his crippled flagship fell back into Helghan’s atmosphere. The petrusite weapon it was carrying (intended for Earth) was released – in a fiendish irony – on Helghan instead, decimating the worlds entire ecosystem and in seconds billions of Helghan – good, bad and indifferent – are wiped out. In the weeks that follow a truce is called and the ragged survivors are given sanctuary on the world their forefathers left only a few generations before. The world they themselves tried to retake by force of arms in Killzone 1. Half of Vekta is tuned over to the Helghast when reintegration fails and an immense wall spanning the entire planets circumference is built, separating the two nations – and the story really begins. A small, playable intro section sets the scene as Michael Kellan and his young son Lucas find themselves stuck in an area that is due to be turned over to the Helghast, who are eagerly revenging themselves on any Vektans who have been too slow to leave. Leaving the family home they make a break for the wall and the safety on the other side of it – only to be caught by a Helghan patrol. Shadow Marshall Sinclair intervenes, but not in time to save Lucas’s father who is callously shot in front of his own son. 20 years later and both sides are still reeling from what’s happened and the urge some have to keep the war going is countered by a want to move on in others. Lucas is now a fully trained Shadow Marshall himself and Sinclair’s right hand man. I said what came after was worse right? And I challenge anyone not to play the game and think the same thing. In this brave new world Helghan and Vektan live alongside one another in a state of bristling, simmering cold war. Both sides have done (and continue to do) stomach-turning things. Both sides want peace. Not as much as they want pay back though. The Helghan part is – as far as I can tell – one enormous smoke stack industry which makes the otherworld from Silent Hill 1appear homely and inviting. Extremists simmer in the un-policed slums and its all the New Helghan government can do to keep a lid on it. In game we see the break with the past we wanted. The levels have been opened up a lot and in-level objectives can usually be tackled in whatever order the player wishes. The PS4’s controller touch pad has been made use of and via this means the player can control the OWL, a small UCAV that attaches to Kellan’s shoulder. The OWL is a force multiplier and has a range of handy functions which you will need since Kellan is often heavily outnumbered. A radar style “tactical echo” feature allows Kellan to spot enemies lurking beyond his immediate view, but there’s gameplay balance to contend with and heavy use of it will alert the enemy. The firepower you can use in the game is (more than) up to the standard set by the previous games. However Kellan can only hold two weapons at a time and his primary weapon cannot be exchanged for another so its like or lump it. I’d have preferred to have seen two primary weapons which could have been switched by tapping the appropriate button and a secondary weapon made accessible by double tapping that same button – the sort of thing we’ve seen in the most recent Medal of Honor games. While we’re on the subject of weaponry – your load out cannot be altered before a level, sadly something we’ve seen in just about every Killzone game and which, for me, heavily cuts into the games replay value. This is the forth game in the core series and still weapon load out and customisation is the preserve of the multiplayer section. Why should that be? The sci-fi locations in game – whether it’s a starship in orbit around a sun, a space-suited combat scene that keeps on reminding me of Space Invaders or an immense space station that’s slowly sucking up an entire planets surface – are spot on. Many a time I’d stop playing so I could just gawp at it. And all of it rendered in some of the best graphics I’ve ever seen. So this game is worth a go. 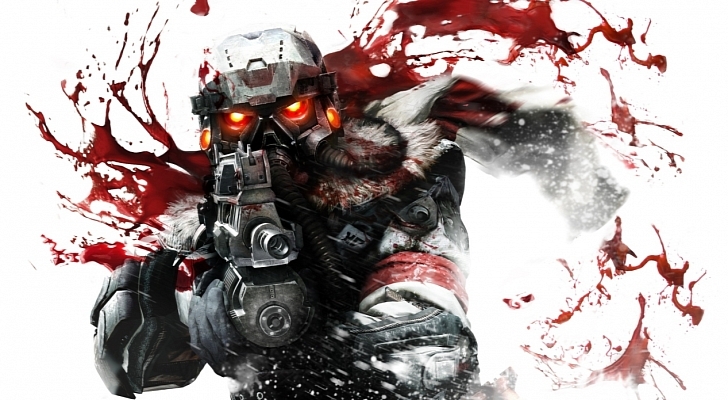 Having moved away from the style of the last two games, the team have given us what’s really the most in-depth Killzone experience yet by showing us what happens when two peoples – with more bad blood between them then they would like – are haphazardly thrown together and I do salute the team for doing so. and post is actually fruitful designed for me, keep up posting such content.